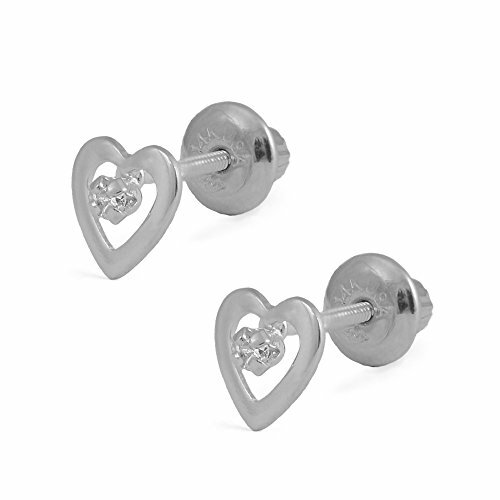 These pretty 14k white gold open heart shaped girls screw back earrings each features a diamond accent at the center. The earring studs are specially designed with shorter posts to better suit a little one's ear. The screw backs are safe and comfortable. A beautiful gift for any occasion.